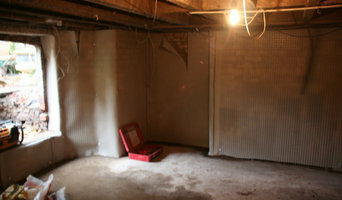 We are experts in basement and cellar conversions. From the initial inspection to repairs, planning and execution, our experts will take care of all the details to give you excellent results If you want to breathe new life into your damp, dark basement, talk to us. At Best Cellars (nw) Ltd in South Manchester, we are experts in basement and cellar conversions. From the initial inspection to repairs, planning and execution, our experts will take care of all the details to give you excellent results. Do you fancy having a room in your home that nobody knows about? Basements are great for transforming into a secret den for your children to play, we can even create a secret entrance! Get in touch to find out more. A local family business with over 20 years experience in loft & basement conversions and home extensions. We also offer quality property maintenance from water proofing, damp proofing & timber treatment. 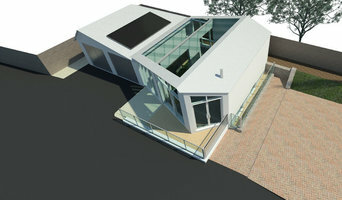 What can a Timperley, Greater Manchester basement designer or specialist basement construction contractor do for me? Your Timperley, Greater Manchester basement designer will help to assess if a basement excavation or construction is feasible – both structurally and financially – as well as advising you on the cost of underpinning if required, ease of access and escape, basement waterproofing or tanking, damp proofing, safe heating options, the drainage system, your insulation requirements, electrical connections, and the most appropriate basement lighting options, as well as interior decoration. Basement builders and designers will also be able to tell you if the Party Wall Act applies and whether planning permission is required for basement conversion in Timperley, Greater Manchester: if you live in a conservation area, you intend to carry out a basement excavation or create a new separate unit of accommodation, or you alter the external appearance of your home by adding a light well, then it is likely you will require planning authority sign off. Start by getting a your Timperley, Greater Manchester basement builders or designers to assess the feasibility of a conversion or basement construction. Basement conversion, and basement excavation, is a highly specialised job and engaging specialist basement builders will ensure the job is completed safely with the least disruption to your neighbours and family. Always ask for an estimate on the basement conversion cost before beginning to make sure it’s feasible for you. You’ll also need to ensure before a project commences that you have all the required permissions and consents. If your basement construction requires the lowering of an existing basement floor to create more headroom, or building a brand new basement, then your basement designer’s first step will be to underpin the foundations for additional structural support. The basement will then need waterproofing by lining it with a studded membrane, then building a secondary wall inside the lining. A well-designed basement will blend seamlessly with the rest of your home but can also use clever tricks like creating an internal balcony or mezzanine level to help connect the spaces together. Creating sufficient light for your basement is a crucial concern and so many basement conversions in Timperley, Greater Manchester will now be completed with additional excavations of surrounding land to create light wells or even a sunken terrace around the basement. Find basement builders and designers on Houzz. Get started now by searching for Timperley, Greater Manchester basement excavation and construction specialists in the Find a Pro section of Houzz. 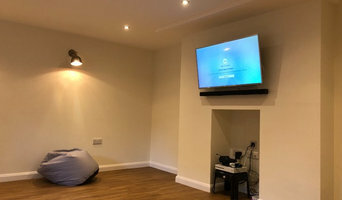 Add your favourite basement images and basement conversions in Timperley, Greater Manchester to your Ideabook and then contact the relevant designer or contractor who worked on them.